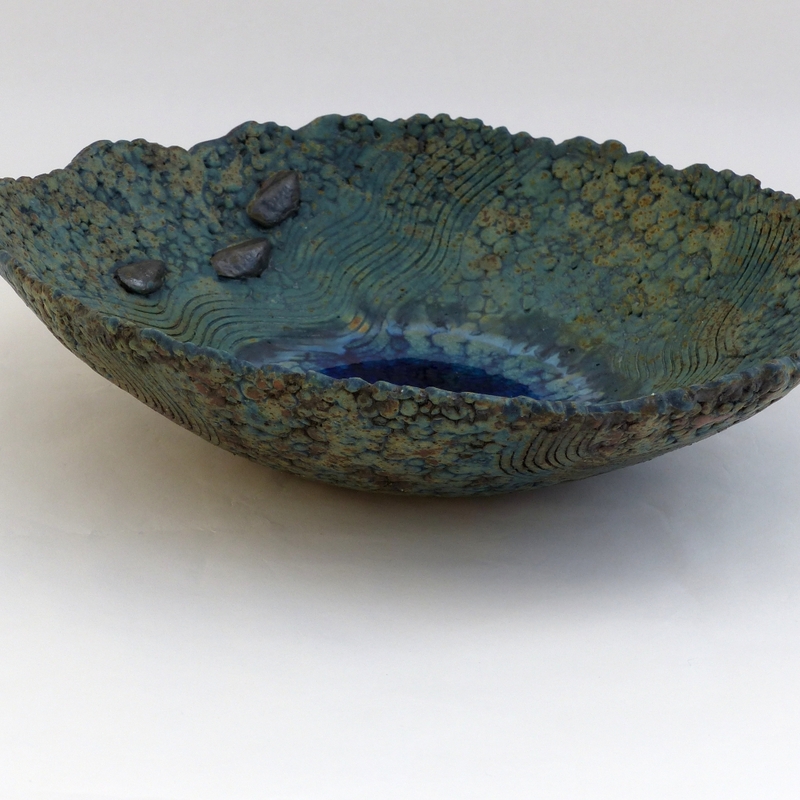 Pat hand builds Rock Pool Dishes and Bowls. Seaweed, shells, etc. are pressed into the clay to create texture. She also makes coiled boulder and crevice pots and sea shore vases. All pieces are multi-glazed, then fired to stoneware. (1250 c). Pat's work is influenced by the North East coastline and each piece is individual. She is a member of the Northern Potters Association. Brought up on the coast near Whitby I now work from my garden shed just outside Leeds, West Yorkshire. I’m fascinated by clay in its multitude of colours and textures. 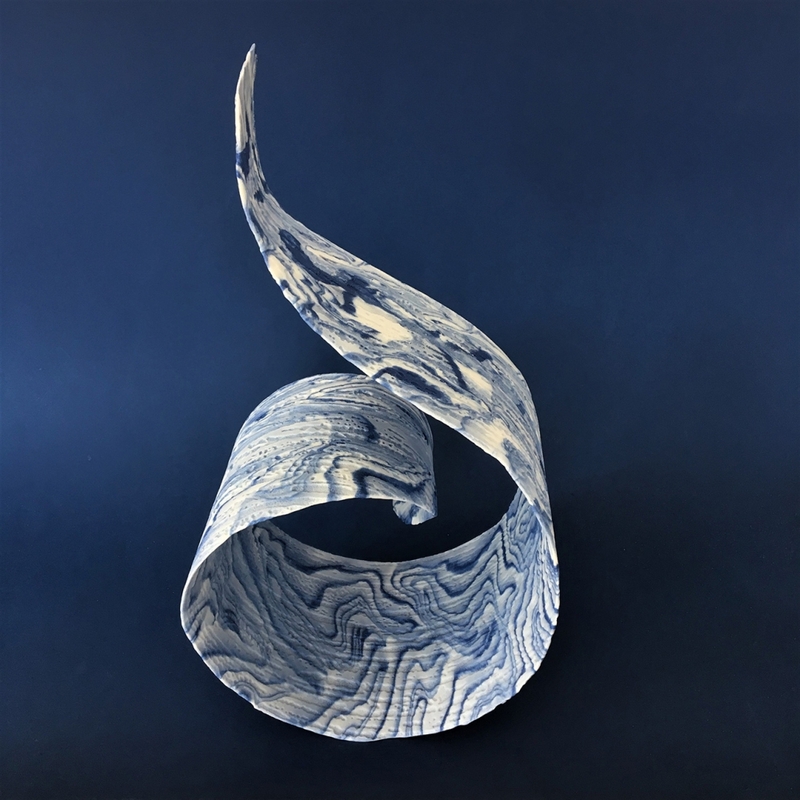 Currently I’m exploring its extremes with the delicate, flowing, semi-translucent, coloured Parian (porcelain) in stark contrast to my primitive, extremely tactile, burnished, sawdust fired pieces. My work is sometimes functional, often sculptural but always visually exciting. I have shown and sold my work through exhibitions and galleries in northern England for the last three years. The processes I use mean all my work is as individual as a fingerprint.